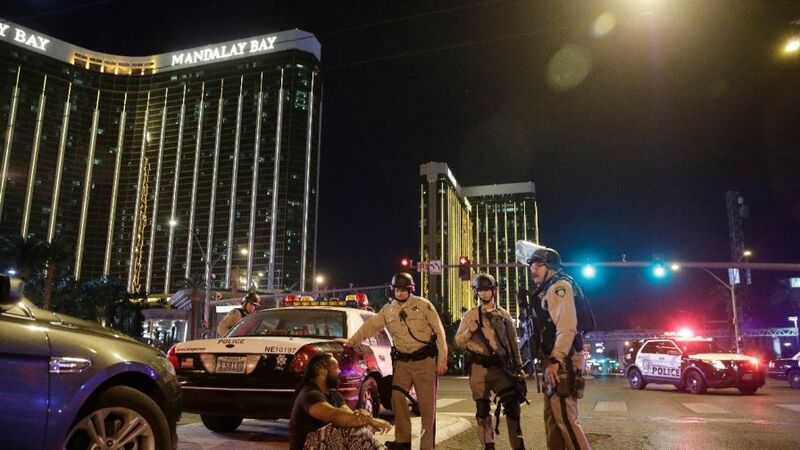 The style of coverage of the recent Las Vegas shooting can tell a considerable amount about the condition of our society, and deserves much more attention than the specific degeneracy of a single criminal. The lesson is this: today’s major news agencies have completely divested themselves of any feeling of responsibility to society. They have given themselves fully to the pursuit of readership and profits, while abandoning their role in framing current, emotionally charged events within the morals and manners of the society and tradition they should be serving. To illustrate the difference between a moral medium and amoral media, let us compare contemporary coverage of the Las Vegas shooter to that of another famous murderer: Jack the Ripper, who gruesomely murdered at least five women in late 19th century London. In the former, The Guardian took it upon itself to grant an opinion on the issue, which it understands as being emotional. As much as we love to disdain Victorians and their sensibilities, they covered this issue properly. In 1888 Britain, the homicide rate in 1888 was approximately 1.43 per 100,000 people. Homicide was not a major cause of death then, and it is not a major cause of death now, accounting under 0.6% of American deaths, and even less in Britain. It is eclipsed in body-count by more acceptable behaviors such as reckless driving and smoking. Murder was seen as a breakdown of morals, and therefore dealt with in a morals-oriented way. They never thought to present it scientifically to the public, to provide vain readers a sense of expertise on passions that the readers cannot understand, and should not be considered worthy of the public attention. The 2017 article reads like an excerpt from one of action writer Tom Clancy’s more mediocre novels that you might find for 99 cents at Goodwill, covered with illegible inscriptions and mysterious stains. Here, the media is pretending to be objective, while still appealing to our emotions in the hopes of readership, political control, and most importantly: profit. By pretending that is is possible to read and speak dispassionately of these subjects, they are being cynically duplicitous to the public. Today, media and culture conspire in contempt of the public decency: we turn criminals into action characters, objects of fascination, gossip, and wonder. There is a good reason that the Las Vegas shooting has gained more coverage than say, the 23,000 Americans who died of cancer in the following fortnight: the idea of violence excites people. There is no reason to deny this, to condemn the excitement, or tell people to not be emotional. The media has two duties in reporting this events. One is to frame them in the context of our morals, rather than grim escapist entertainment. They should be objectively emotional rather than objectionably unemotional. Their other duty is to do something we have forgotten we can do: castigate villains after death, and eliminate the romance from barbarism and crime. In Roman times, death was a common punishment. While they had several gruesome ways to achieve this end, death wasn’t the worst punishment either. That title is reserved for the curse of being damnatio memoriae. Enemies of Rome had their names erased from history for crimes against Rome by destruction of their works, any work mentioning them, and an injunction against their future mention. Today, we fear those who have no concern for their lives, as we think we cannot punish them. We have forgotten that we can frustrate their hopes of fame, instead viewing them as we would a murderous parasite. The courts can punish those who would rather not give their lives for evil; it is the purpose of our media, culture, and sense of decency to inflict shame upon criminals for whom the threat of death is no deterrent. Today, media and culture conspire in contempt of the public decency: we turn criminals into action characters, objects of fascination, gossip, and wonder. Being a killer is a status symbol. Of course, we cannot erase people from the public record in the Roman style today. The European Union’s impractical “Right to be Forgotten” has shown itself to be one of the more entertaining of Brussels’ follies. Those who influence the public record should pursue another strategy: fill the killers’ names with such shame and disgust that any egotist will know that his crimes will bring him to be seen as a vile failure, rather than into the spotlight of a perfidious media. Whether or not one agrees with this, it is abundantly clear that The Guardian, and the journalistic crassness of its news community, have lost their authority to say such things. There is nothing specifically wrong with The Guardian; it distinguished itself by publishing some of Snowden’s leaks, in a profitably calculated manner. Most other media sources are guilty of vapid violent voyeurism, many of them right-leaning. If any mediacrat reading this would deign to take advice from a college freshman who is learned only in advanced snow-shoveling and the operation of Dreyse needle rifles, it would be this: you won’t get respect by slandering your competition as fake news, by considering yourselves oppressed when criticized; you’ll get it back by having some decency, and by placing a higher value on supporting the public well-being, and legitimizing the public manners than on a few stray clicks of blood-tourists. You should bring shame, ignominy, and the hope of obscurity upon the murderous dregs of our society. If you do not, betters will, and you will not be missed.